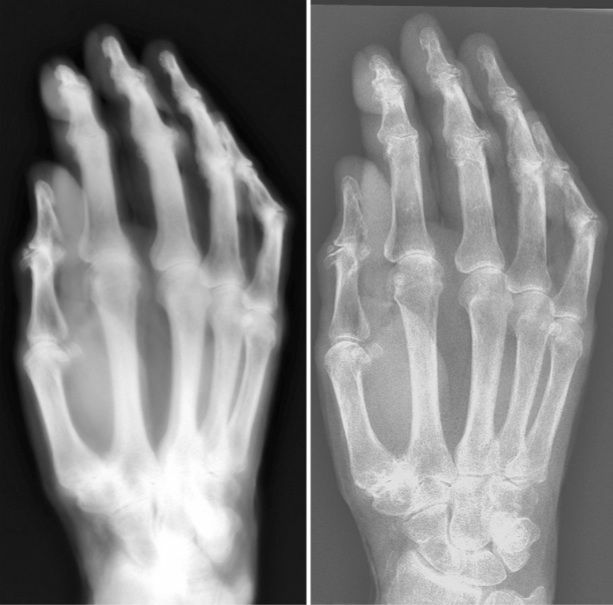 In 1896, just a few weeks after German physicist Wilhelm Röntgen published his discovery of X-rays, H.J. Hoffmans, a high school principal, and Lambertus Theodorus van Kleef, director of a local hospital, put together an X-ray machine of their own from parts they found in Hoffmans’ high school in Maastricht, the Netherlands. They tested it on van Kleef’s daughter’s hand and it worked like a charm, a dangerously huge levels of radiation-releasing charm. The machine ended up in storage at the Maastricht University Medical Center where it was promptly forgotten until it was dug up last year to use as a visual aid in a documentary on the history of medicine in the area. Curiosity piqued, MUMC medical physicist Gerrit Kemerink decided to run the old machine through its paces and see what it could do. “To my knowledge, nobody had ever done systematic measurements on this equipment, since by the time one had the tools, these systems had been replaced by more sophisticated ones,” said Dr Kemerink. Kemerink’s team thought it best to use a cadaver hand to experiment on this time around rather than somebody’s lovely daughter since the radiation emitted by this very early machine was likely to be dangerously high. (People didn’t realize radiation could be harmful until a year after Röntgen’s discovery.) The researchers used the original equipment — an iron cylinder wrapped in wire and a glass bulb called a Crookes tube with electrodes at each end — powered by a modern car battery. 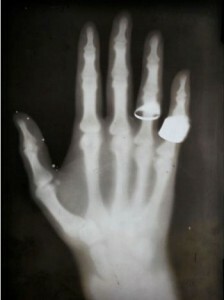 They used both a modern hospital radiation detector and the glass photographic plate Hoffman and van Kleef originally used, and found that using the modern detector the machine took a fairly clear picture but there was some blurring from the wide scatter of the X-rays and the cadaver hand got hit with a dose of radiation dose 10 times higher than it would have received from a modern system. Using the far less sensitive period photographic plate, the team found that the machine gave the skin a dose of radiation 1,500 times higher than it would receive from a modern machine. The researchers were of course protected by a lead shield whenever the machine is on, but the experiments didn’t produce enough radiation to harm them. It sure did look and sound fantastic, though. “Our experience with this machine, which had a buzzing interruptor, crackling lightning within a spark gap, and a greenish light flashing in a tube, which spread the smell of ozone and which revealed internal structures in the human body was, even today, little less than magical,” they wrote. This entry was posted on Wednesday, March 16th, 2011 at 11:58 PM	and is filed under Modern(ish). You can follow any responses to this entry through the RSS 2.0 feed. You can skip to the end and leave a response. Pinging is currently not allowed. People didn’t realize radiation could be harmful until a year after Röntgen’s discovery. Shoe-fitting fluoroscopes were X ray machines introduced in the 1920s for use in fitting children’s shoes. The machines were in use through the 1950s at least, before the health risks forced their retirement. It’s kind of awful that they were allowed for so many years despite the health effects of radiation already being known. The blog ate another comment. This time a serious one. One was sent to moderation for no reason, but it’s the same as your first comment. Is that the one you mean? Uhh… Why in the world did they think they needed an X-ray to fit a shoe? Surely trying it on performs that function just fine. OMG livius has me on moderation! There is a brief page on it at Wikipedia for more info. I know I could never be trusted to determine whether a shoe fit when I was a kid. I would only wear shoes that were “cool!” Never the “dorky” ones.